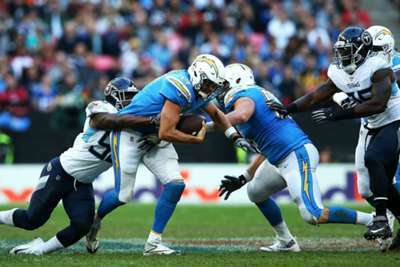 The Los Angeles Chargers held on for a nervy 20-19 triumph against the Tennessee Titans at Wembley to continue their winning streak in the NFL. A fourth consecutive victory lifted the in-form Chargers level with the Kansas City Chiefs at the top of the AFC West, though quarterback Marcus Mariota almost won the game for Tennessee in a dramatic conclusion. After a Ryan Succop field goal, the Chargers – without running back Melvin Gordon due to a hamstring injury - made a spectacular start on offense with a touchdown on their first play, Tyrell Williams running away from Logan Ryan for a spectacular 75-yard score. The Titans stayed in touch with a second field goal but missed the opportunity to take a half-time lead when Denzel Perryman intercepted a Mariota pass in the red zone. Quarterback Philip Rivers again picked out a free receiver at the start of the second half for the Chargers, Mike Williams scoring this time, but the Titans remained in the contest. 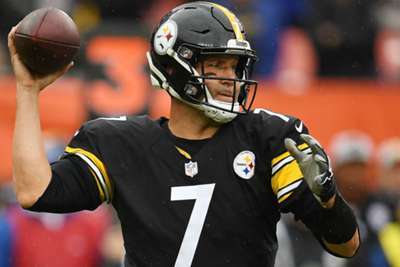 A seven-play, 42-yard drive was punched in by Derrick Henry from one yard out for Tennessee's first touchdown, while the Chargers were forced to settle for a field-goal early in the fourth quarter to leave the score at 20-13. After seeing a touchdown run overturned on review, Mariota picked out tight end Luke Stocker to close the deficit to one point with just 31 seconds remaining. However, rather than settle for overtime by kicking the extra point, the Titans went for the win. After a penalty negated the first failed attempt, Mariota saw his pass to the end zone tipped away as the Chargers held on.